In the North-East of Italy, in Ravenna province, is Cervia airbase which houses 15 “Stefano Cagna” Stormo. 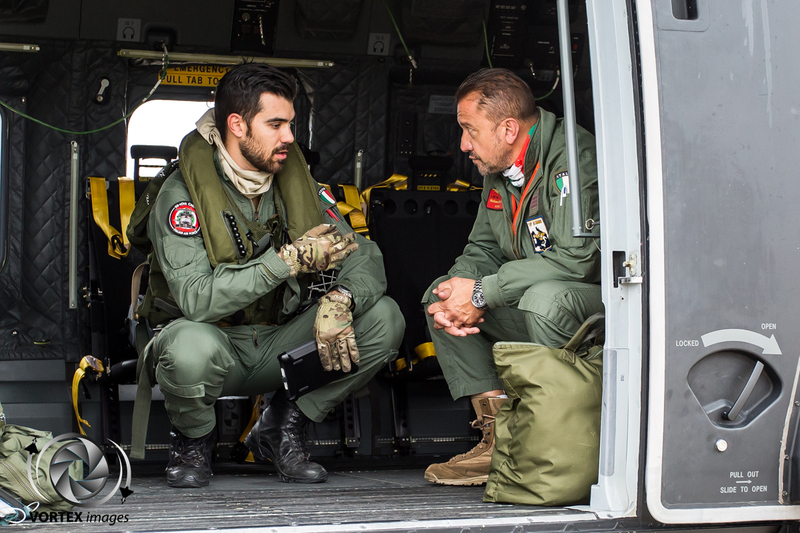 Within the Italian Air Force 15 Stormo (15th Wing) is responsible for the Search and Rescue (SAR) and Combat Search and Rescue (CSAR) duties. 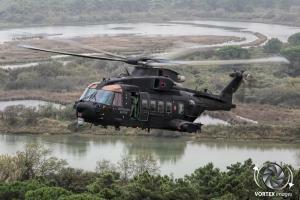 15° Stormo performs Search and Rescue tasks within the national territory and territorial waters of Italy. 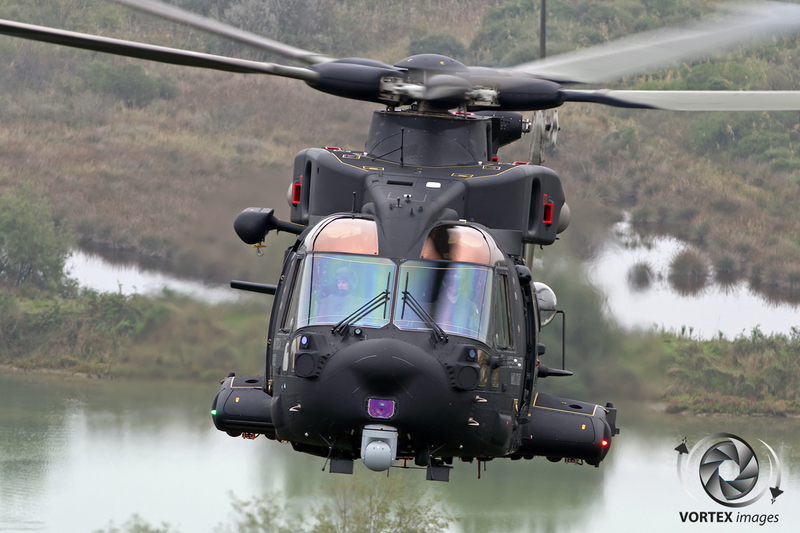 The SAR Wing was originally intended to recover and rescue military personnel from aircraft or other military platforms that had crashed. 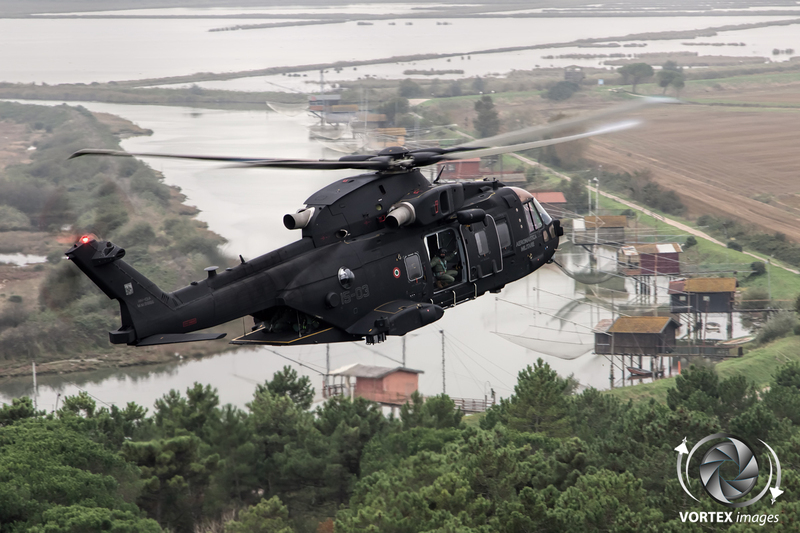 On the basis of international agreements on Search and Rescue services for civilian emergencies, 15 Stormo took over a lot of civilian SAR tasks. 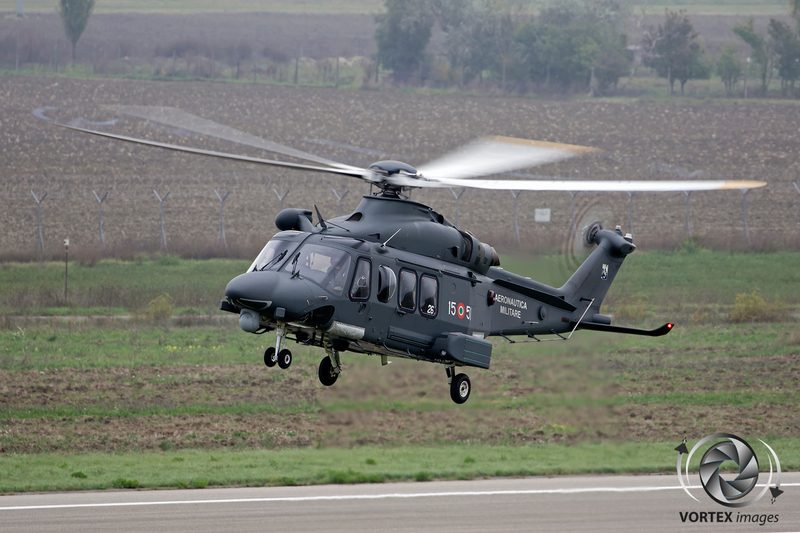 In recent years 15° Stormo was also involved in international humanitarian missions as well as national commitments, like in Somalia, Bosnia, Albania, Kosovo and Iraq. 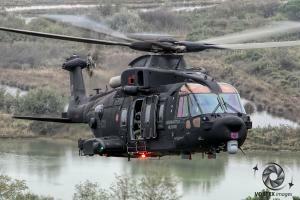 – 615° Squadriglia Collegamenti (615th Communication Flight), operating the Breda Nardi TH-500B and OH-500B helicopter. 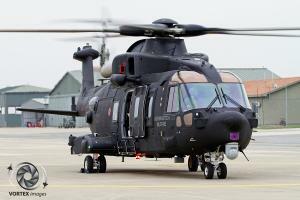 In the future a fourth squadron will be added to Cervia as a dedicated HH-101A squadron. 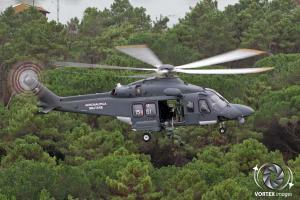 – 85° Centro CSAR at Pratica di Mare operating the HH-139A and both the TH-500B and OH-500B helicopters. 15° Stormo was founded on the first of June 1931 in Ciampino and started operating the Fiat BR.3 and Caproni CA.100 aircraft. In June 1936 the Wing was redeployed to Libya in Castel Benito where they received the SM-79. During the beginning of World War II 15 Stormo was awarded a silver medal for military valour for its actions. In January 1943, after the battle of El Alamein, 15° Stormo reorganized at Vicenza airport before being redeployed to Oristano. 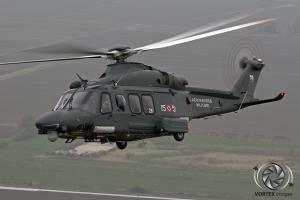 15 Stormo was disbanded on September 8, 1943 in Florence. 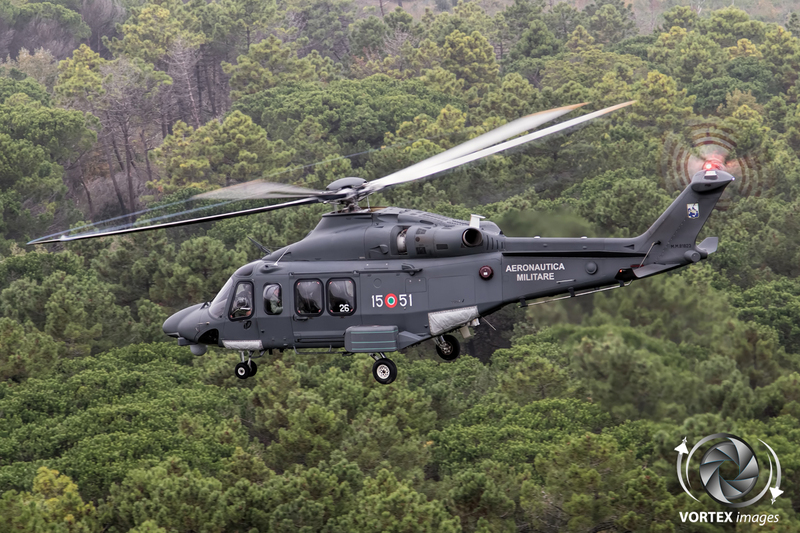 15° Stormo was brought back to life on the 1st of October 1965 in Ciampino as an SAR Aircraft Group consisting of 84° Gruppo , which operated the Grumman HU-16 Albatross and 85° Gruppo Elicotteri, which operated various helicopters such as the AgustaBell AB-47J Ranger and AgustaBell AB-204B Huey .The helicopters of 85° Gruppo where divided between Linate Airbase and Grottaglie Airbase. 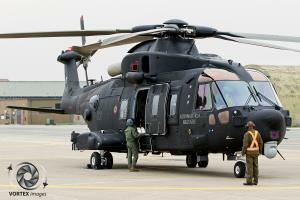 As a result of various rescues of civilians, 15° Stormo was awarded the silver medal for civil Valour in 1971. 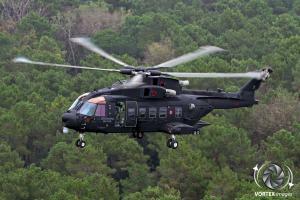 From August 1977 the Wing received their first Sikorsky HH-3F Pelicans. 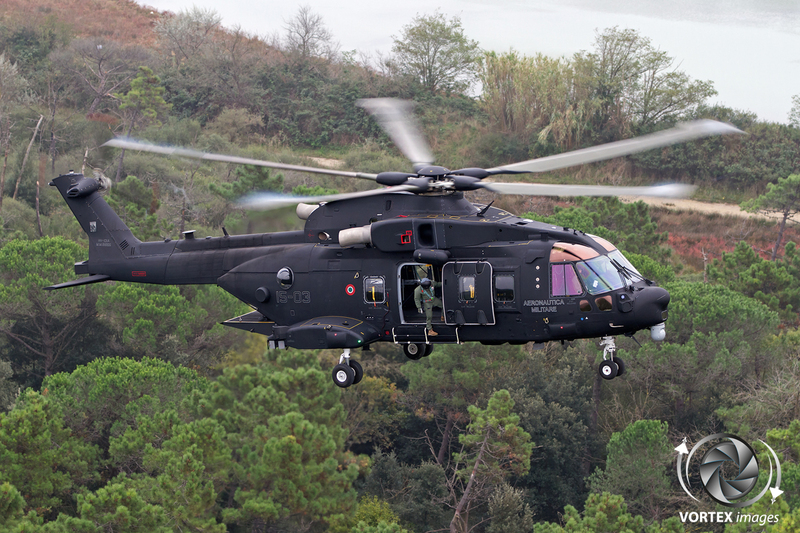 As this new helicopter brought many new possibilities and capabilities, it was decided that in March 1978 the detachment at Grottaglie would be transferred to Brindisi. 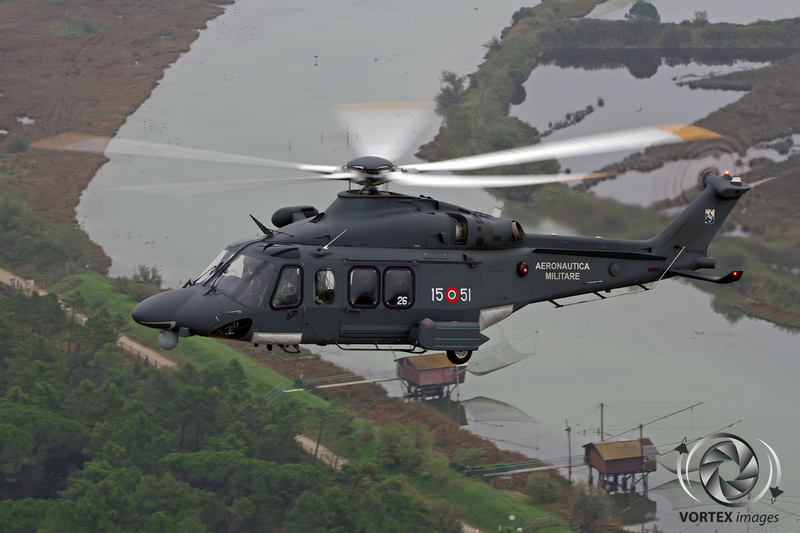 In April 1980 15° Stormo started a new detachment in Rimini, which was called the 83° Centro. A few months later another unit was born, this time in Ciampino, known as 615 Squadriglia. 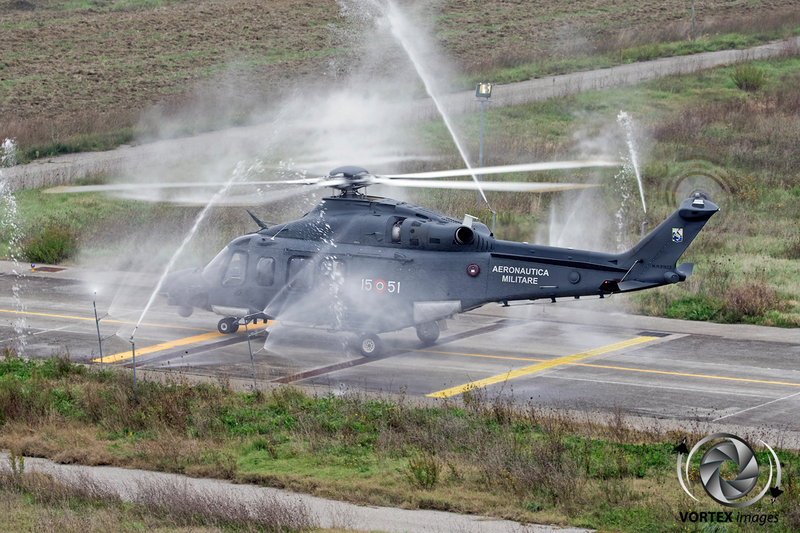 After the disbandment of the detachment in Linate, at the beginning of 1981, 82° Centro was activated in Trapani on July 6, 1982. 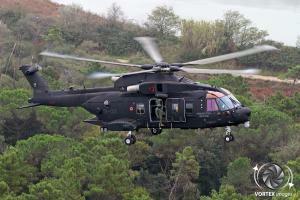 In 1986 15° Stormo received the AgustaBell AB-212 helicopter as an addition to the much larger and more expensive Pelican. From October 6, 1997, with the establishment of the 9th Brigade, the command of 15 Wing was transferred, with 85° Gruppo, from Ciampino airport to Pratica di Mare. 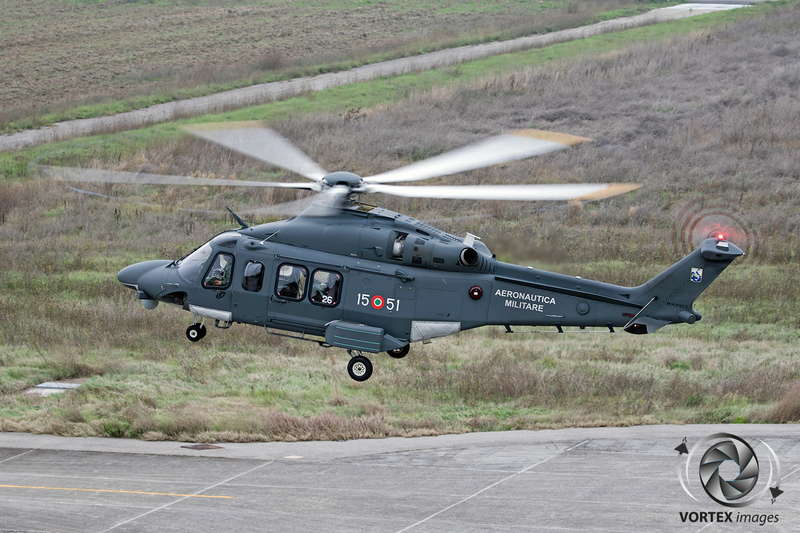 Next to 85° Gruppo , Pratica di Mare activated a 2nd squadron as a test unit, called 81° Centro. 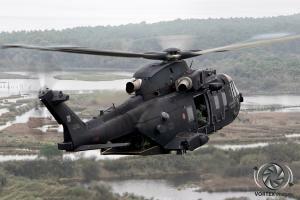 In 2008 15 Stormo was awarded the gold medal for military valour due to the operations carried out in Iraq in 2003. 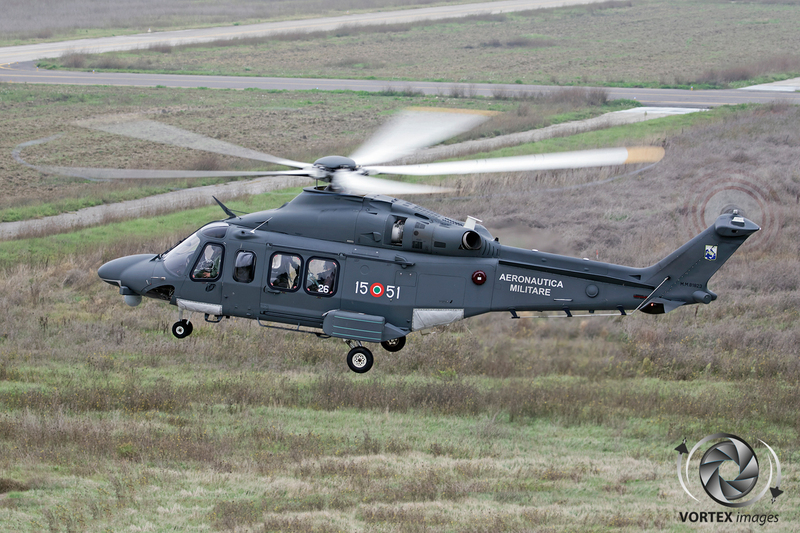 On October the 5th, 2010 the command of 15° Stormo was transferred with 81° Centro and 615 Squadriglia from Pratica di Mare to Cervia. At the same time 83° Centro at Rimini was transferred to Cervia as well. 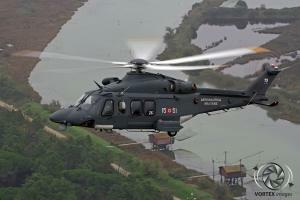 On September 10, 2012 the 84° Centro left Brindisi for Gioia del Colle. 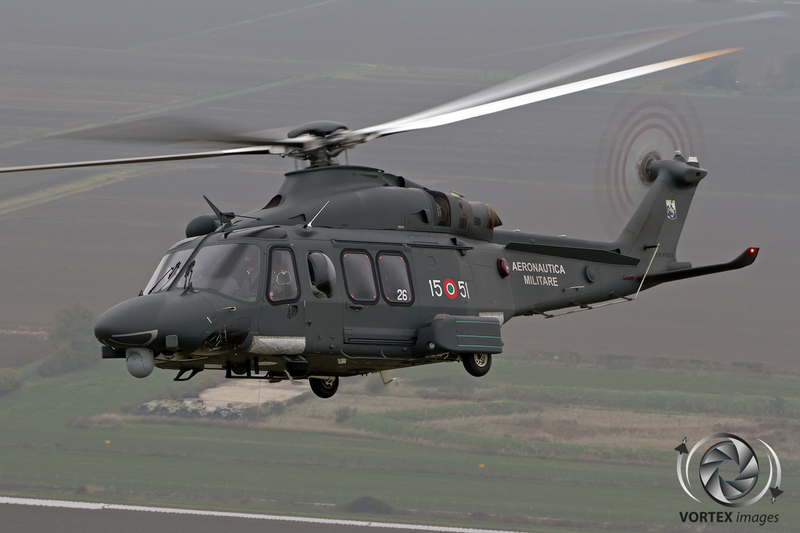 In January 2012 15° Stormo received their first Agusta Westland HH-139A as a replacement for the AB-212 and as a interim replacement for the HH-3F, which was fully serviceable in March 2013. 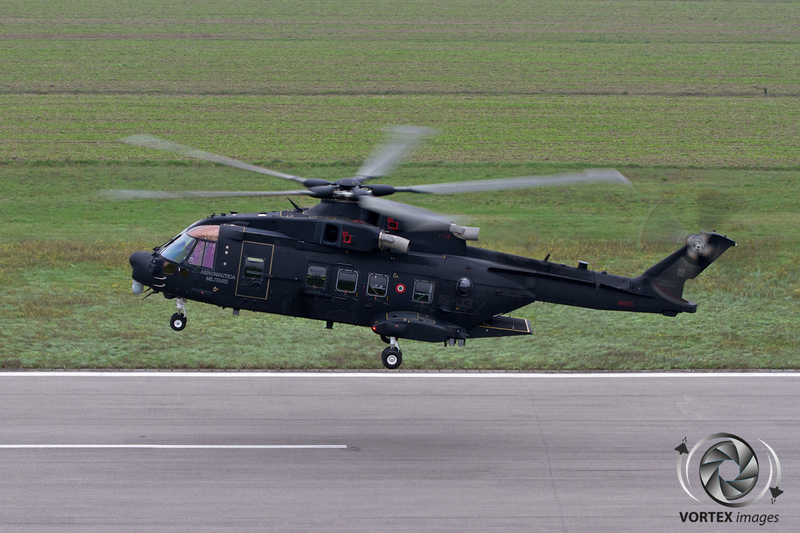 After the HH-139 became fully operational, the ITAF permanently withdrew the HH-3F in September 2014. 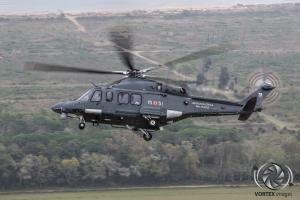 The 6th Centro was created on the first of November 2013 in Decimomannu as 80° Centro, operating the AB-212. 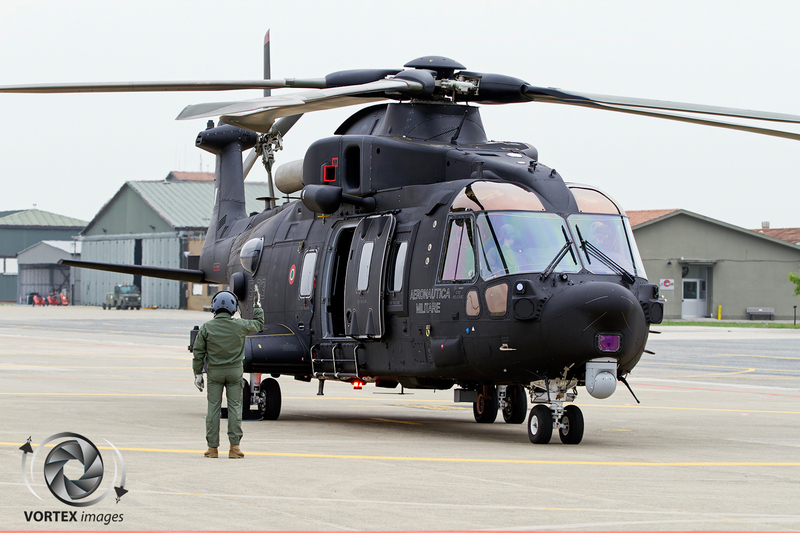 On the 8th July 2015, 15° Stormo received their first AgustaWestland HH-101A helicopter which resulted in 15° Stormo having, for the first time since their existence, a true Combat Search and Rescue helicopter. 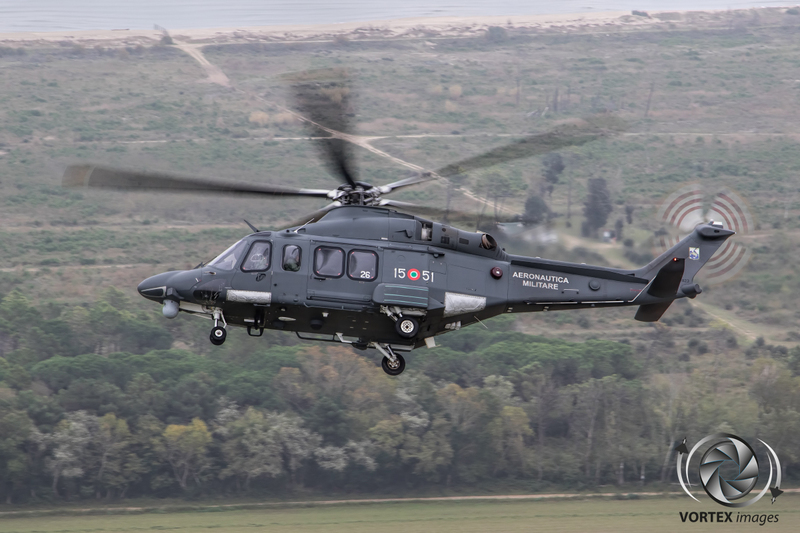 With the introduction of the HH-101A the 1st Brigata Aerea Operazioni Speciali (Special Operation Air Brigade) also moved to Cervia. The 1st Brigata Aerea Operazioni is responsible for the Special Forces units within the Italian Air Force. 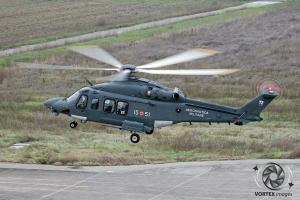 As the HH-101A will become a dedicated CSAR platform, they will work closely with this unit. 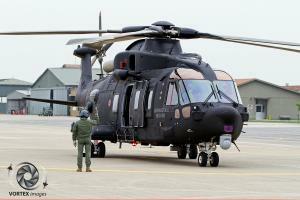 In the last decades a lot has changed for Cervia Air Base. 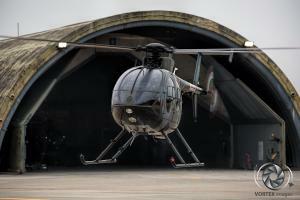 The base was built to host both fighter jets and bomber aircraft. 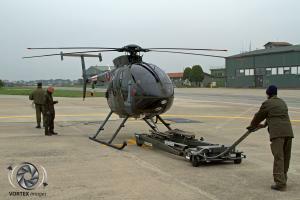 During World War II Cervia Air Base was used by the United States Air Force, the Royal Air Force and the South African Air Force. Between 1952 and 2010 Cervia Air Base was the home of fighter jets with units of 5° and 8° Stormo such as the North American F-86K Sabre, the Republic F-84F Thunderstreak, the Republic RF-84F Thunderflash, the Fiat G91 Gina, the Lockheed F-104S Starfighter and finally the General Dynamic F-16 Fighting Falcon. 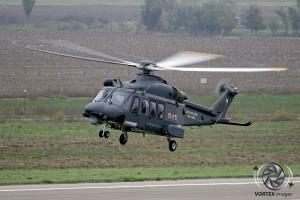 In May 2010, the last operational F-16 of Cervia was flown to Trapani Air Base. 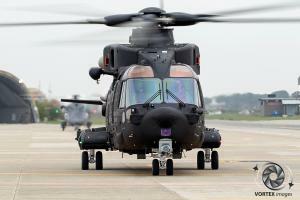 After this move the base was closed as an operational fighter base and started flying Helicopters in October 2010 due to the transfer of 15° Stormo to Cervia Air Base. In March 2013, the first of 10 purchased Italian Air Force HH-139A medium twin engine helicopters arrived at Cervia. 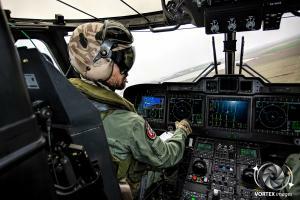 The HH-139A is a light and fast helicopter equipped with a lot of modern equipment, including an NVG-compatible glass cockpit, automatic flight control system with SAR modes & FMS SAR patterns, weather/search radar, Traffic Collision Avoidance System, FLIR (Forward Looking Infra-Red), Digital video recorder, and Auto-Deployable ELT (ADELT). 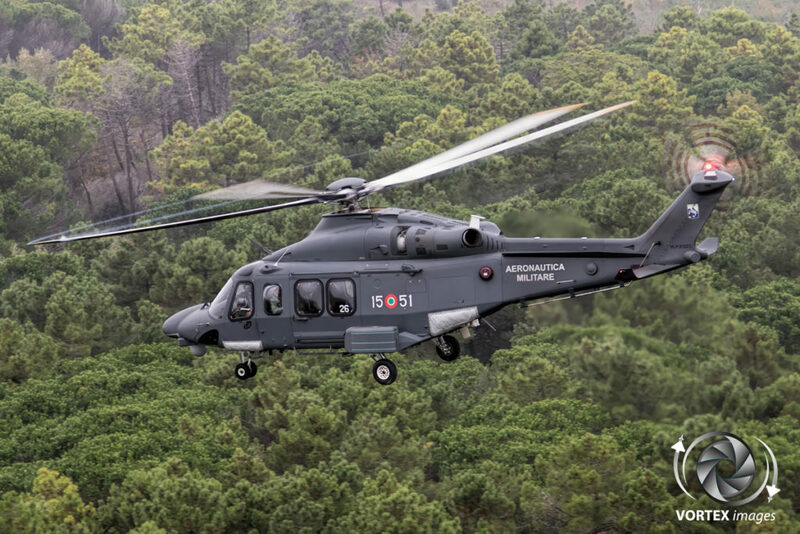 Next to these modern options it also carries a search light, hoist, wire cutters, cargo hook, loudspeaker system and emergency floatation gear. 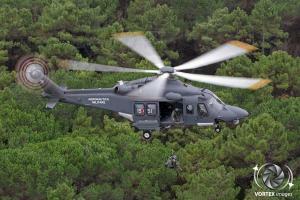 All these aspects make this helicopter a perfect Search And Rescue (SAR) platform. 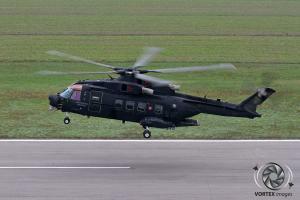 However the HH-139A can do more. It can also carry a bambi bucket for aerial firefighting activities and it can be equipped with two wing-mounted pods for 70 mm unguided rockets which is a great asset for CSAR missions. 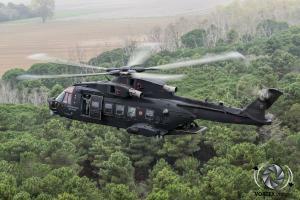 In June 2015 the Italian Air Force presented its first Agusta Westland HH-101A “Caesar” helicopter (a military variant of the AW.101) at Cervia Air Base. 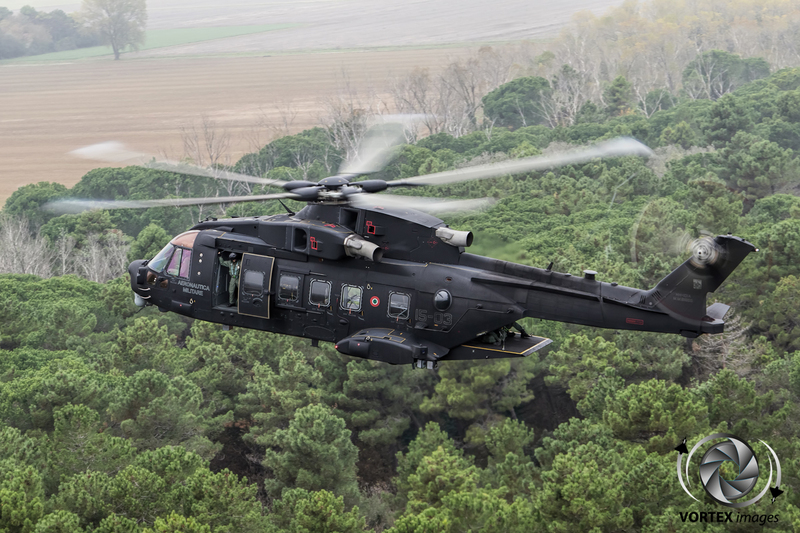 The Italian Air Force has ordered 15 HH-101As. 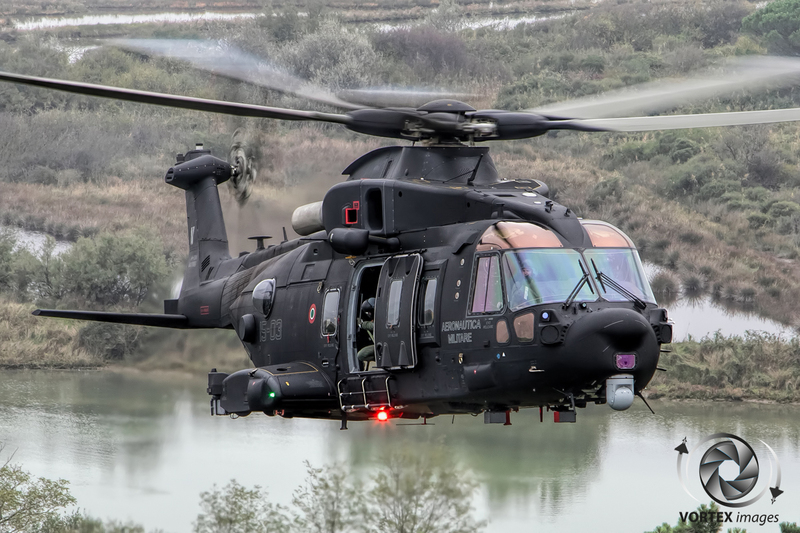 The HH-101A will mainly conduct Combat Search and Rescue (CSAR), Personnel Recovery, Slow Mover Interceptor and Special Operation Air Support missions but also has a secondary Search And Rescue task. 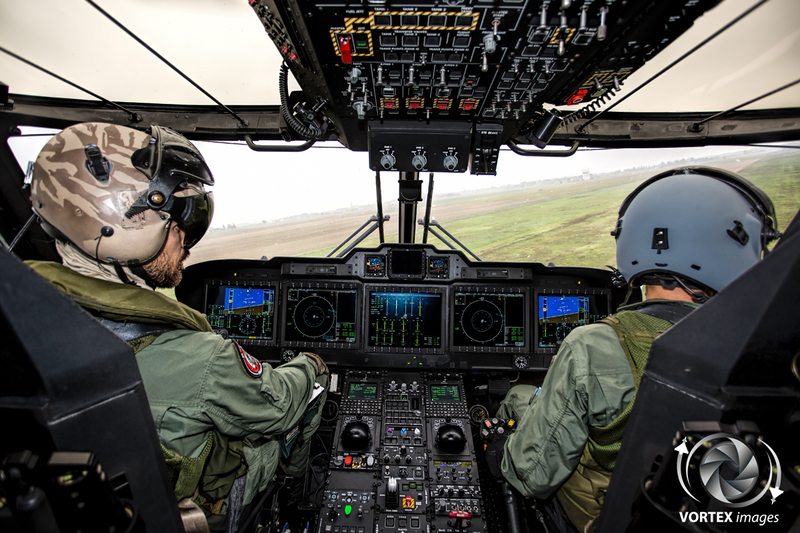 The HH-101A is able to carry a combination of up to five crew members plus twenty fully equipped troops for Special Operations. 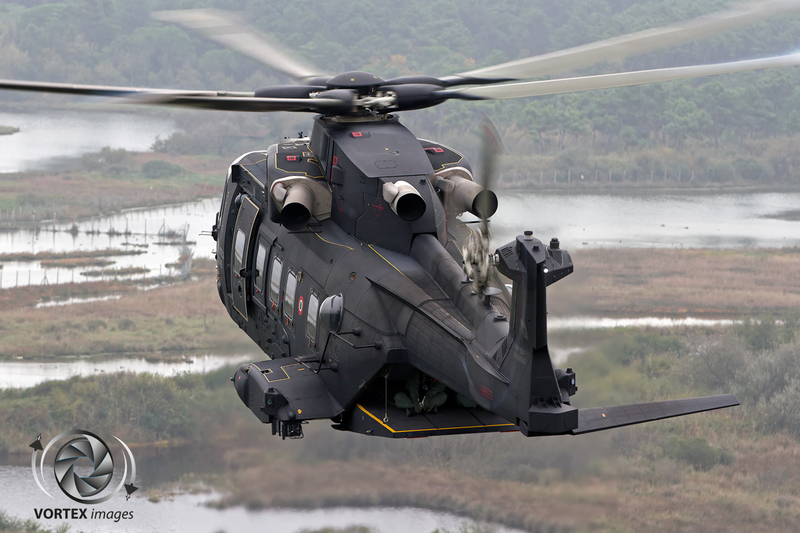 The HH-101A can be equipped with up to three M134 7.62 mm pintle mounted Gatling-type machine guns. These can be installed on both the right and left hand sides, as well as on the rear ramp. It also carries armored cockpit seats, ballistic protection for machine gun operators as well as for critical systems and an Integrated Electronic Warfare System providing self-protection. The helicopter is equipped with state of the art avionics, self-protection systems including radios, Identification Friend or Foe (IFF), crypto, Link 16, intercommunications systems, a Gabbiano radar system, Missile Launch Detection System (MILDS) and a Laser Warning Receiver (LWR). The typical crew layout during a CSAR mission is composed of 2 pilots, 2 door gunners, 1 rear gunner and 1 or 2 ‘Para Rescue Men’, better known as PJs. 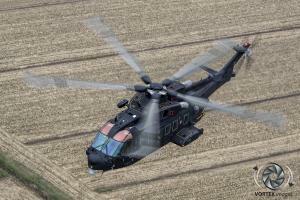 The main difference between the HH-139A and HH-101A is of course the size of the helicopter. 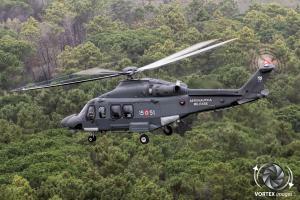 The HH-101 can carry more people than the HH-139A. As the HH-139A is much smaller than the HH-101A, it can navigate easier through mountainous and rough terrain, and it is also more suitable to make landings in confined spaces. A new feature for 15° Stormo is that the HH-101A can be refueled in mid air for extended range operations, something that the HH-139A isn’t able to do. The HH-101 is better suited for Combat Search and Rescue (CSAR) tasks due to more self-protection systems. 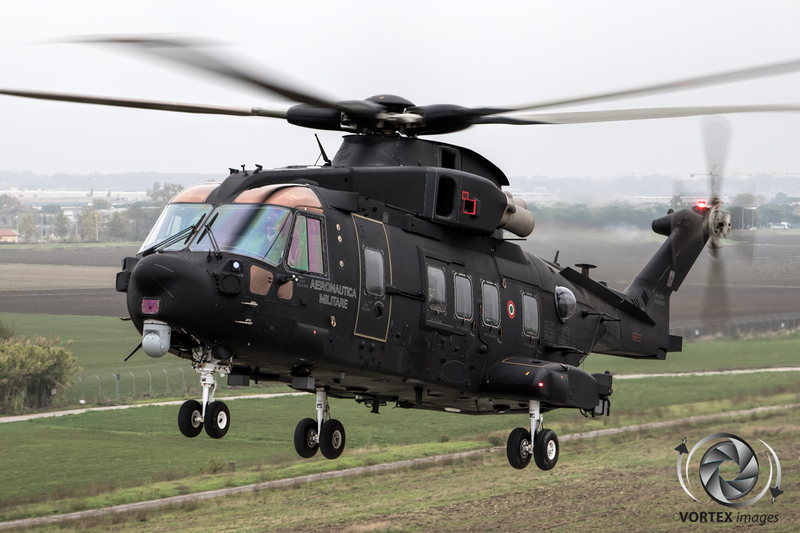 At this moment the Italian Air Force has received 5 HH-101A and they are all operated by the 81° Centro Addestramento SAR (81st Search and Rescue Training Center) in Cervia. 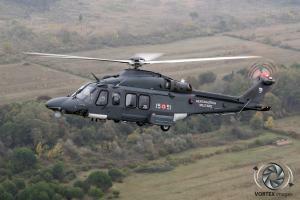 Captain Agostinelli adds: ”In the future Cervia will be the Main Operating Base (MOB) for the HH-101As”. 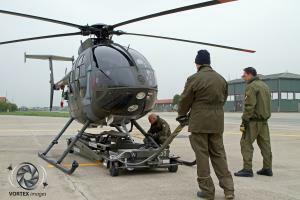 To become an Italian Air Force helicopter pilot you first have to join the Italian Air Force Academy. A potential pilot is called a cadet and has to follow preset phases. In phase I the cadet needs to pass their first flight attitude screening, which consists of a flight course on a piston single engine aerobatic propeller driven aircraft, the Aermacchi SF-260EA. After these first flying experiences a cadet needs to complete the academic course in the next two years before he/she can go to phase II. This phase can be flown either in Italy (in the same SF-260EA), at the international schools in the U.S. or in Greece on the T-6 Texan II, a single engine aerobatic turboprop high performance aircraft. This phase consists of 110 flight hours and 40 hours in the simulator. 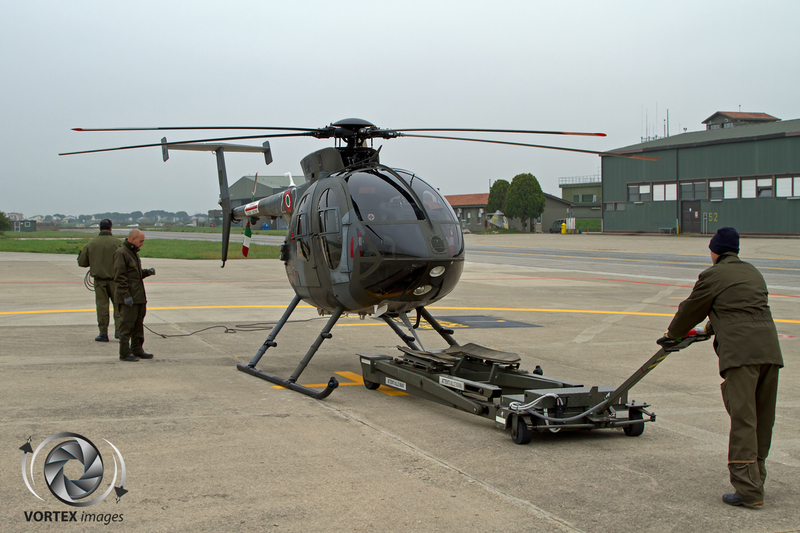 Based on individual performances and scores, each cadet will follow a course that will lead to a helicopter, transport or fighter aircraft course. As a future helicopter pilot the student is posted to the Italian Helicopter School where he/she attends a course of 160 flying hours on two different types of helicopters, the TH-500 and on the UH-139. 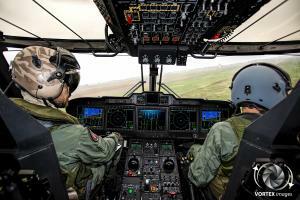 After graduation you can send a ‘wish list’ of postings but, depending on the Air Force needs, a pilot is told where to go and what type to fly. 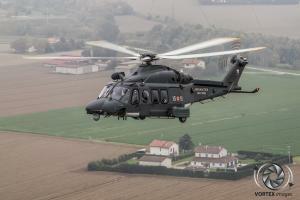 15° Stormo is on call 24 hours a day, 7 days a week, 365 days a year for the essential task of saving people. 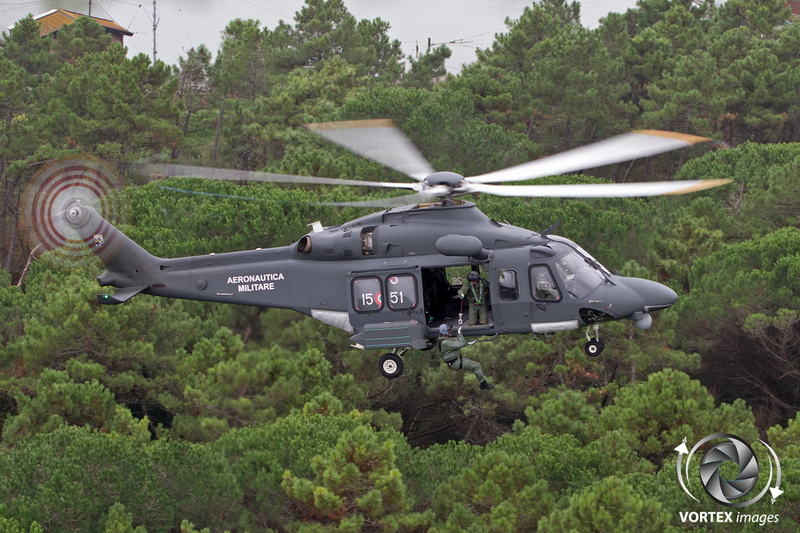 From its creation,as a SAR unit in 1965, until today, the crews of the 15° Stormo have saved more than 7.200 people in mortal danger. 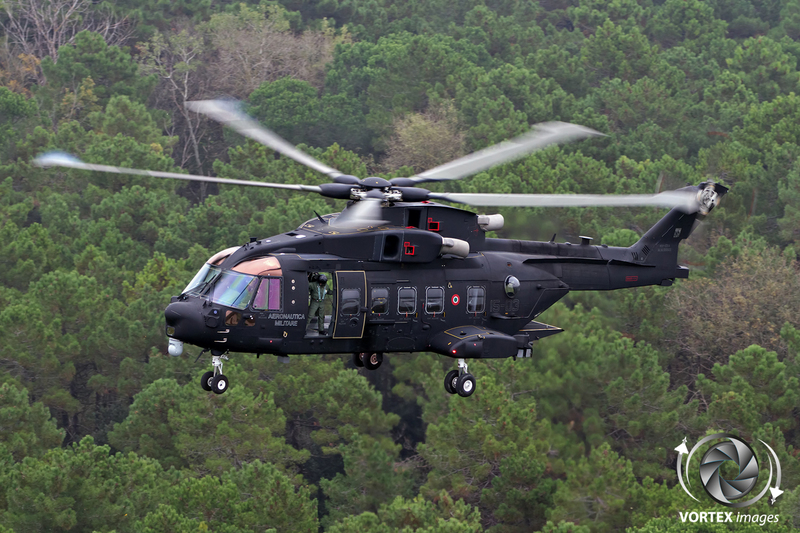 Among the most extensive operations these include: Irpinia earthquake (1980), floods in Sarno and Quindici (1998)and Piemonte (2000), Operations during the G8 summit (2001), earthquake in Italy (2009), The Costa Concordia tragedy (2012) and the Norman Atlantic fire (2014). With the arrival of two new types of helicopters, 15° Stormo and the Italian Air Force is ready for the future and Cervia will keep going strong as a helicopter base. We would like to thank Wing Commander Col. Tomaso Invrea, Capt. 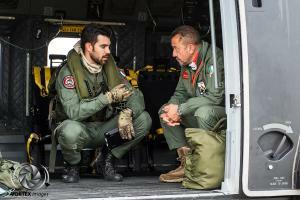 Simone Agostinelli and all the personnel of 15° Stormo for their cooperation and hospitality. 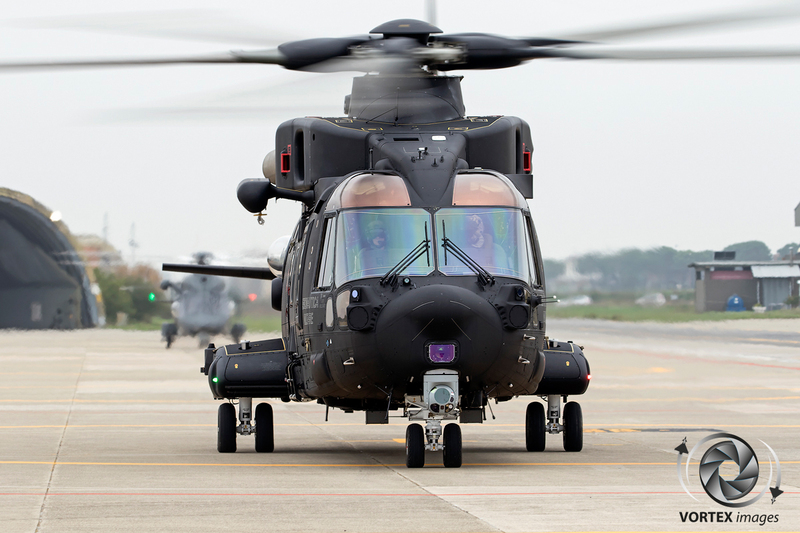 Next to this we would like to thank the Italian Ministry of Defense and the Dutch Embassy in Rome for their support in creating this article.